"Ever since I was a little girl growing up in lovely northern Germany I've had a passion for painting and crafts. I have followed my childhood dreams to become a certified goldsmith and to receive a degree in arts and design. For the past 20 years, I have been doing what I love most - working as an illustrator. I have illustrated lots of books – many of which have been published in different languages and turned into animated cartoons for TV. Not only am I coming up with the designs, I also digitize to maintain the vitality of my drawings. 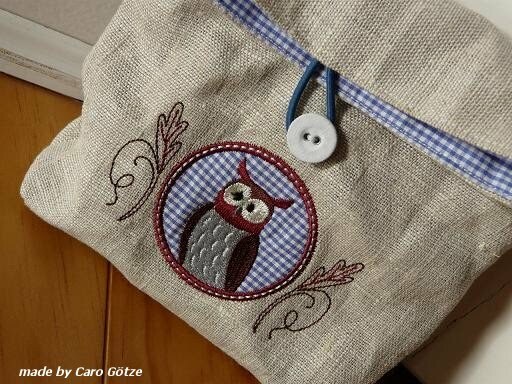 I have taught myself the technique of digitizing - in endless days and nights and a long series of trials and errors and almost never ending test stitchings. While drawing, I already think about how I can turn the illustration in a proper digital image. That way I can ensure the vitality of my sketches and drawings will survive in my embroidery designs. To find out more about my illustrations, please check out Anja Rieger I have also become an avid blog writer. 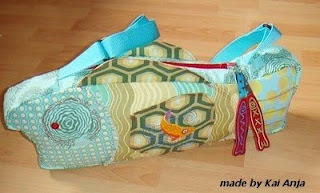 On Anja Rieger blogspot I share techniques and materials for crafts, artefacts and other things I am interested in. Please stop by – I'd love to hear your comments on my posts." So if you're an embroider visit Anja for your one stop shop an all the patterns you need. Thanks Anja for your great work!